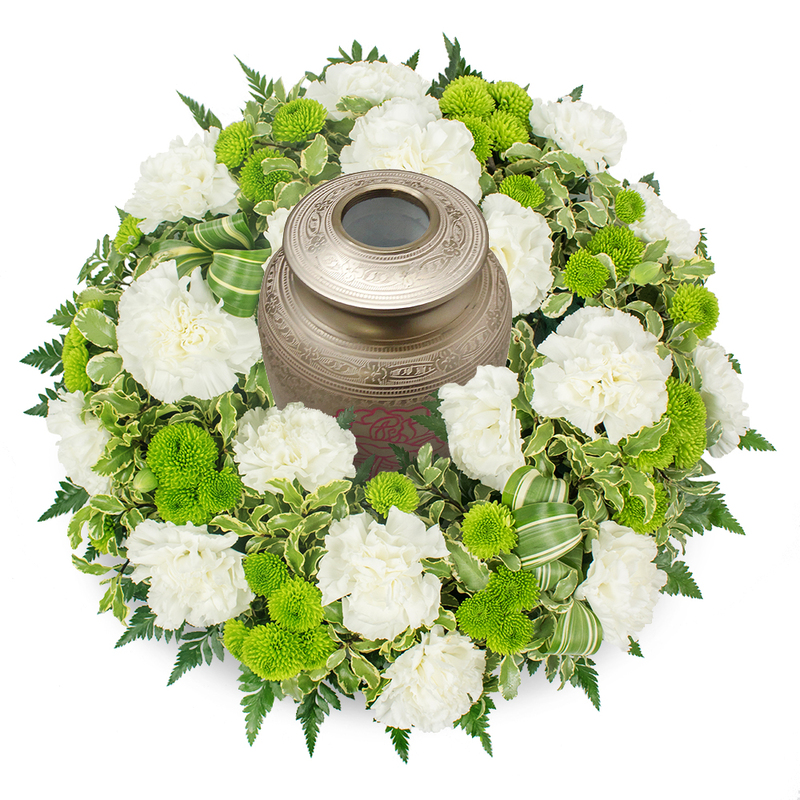 A life that was a true blessing deserves to be honoured with an elegant floral arrangement. Our skilled florists have created this wonderful display of white carnations, mini green chrysanthemums and fresh greenery to help you express your thoughts and feelings. Suitable for urn or coffin tribute. Urn not included. They did everything as I expected. The arrangement was beautiful. Only the freshest flowers were used. Totally recommend! Very fresh flowers. I was impressed. Delivered on time. No troubles at all. Just what I needed in that sad moment. Customer service was very helpful and understanding!